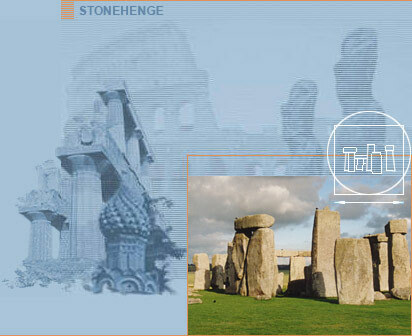 All had been built between 2,500 B.C. and 200 B.C. Now, just as Pierre de Coubertin revived the Olympic Games in 1896 with his modern version of the competition, New7Wonders founder Bernard Weber is seeking to revive the concept of the 7 Wonders of the World with this ambitious global campaign, the New 7 Wonders of the World. The key difference is that, this time around, they will not be chosen by one man, but rather by millions of people all over the world. The new wonders that are selected will be the people’s choices, and they will be drawn from the earliest time that humankind walked upon the earth up through the year 2000. 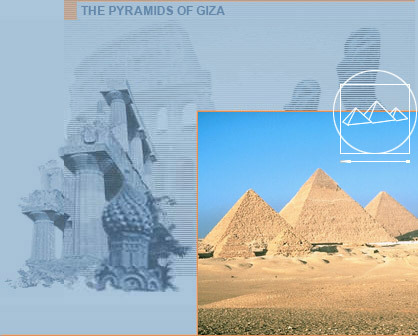 It is, therefore, possible that the only survivor of the original 7 Wonders of the World, the Pyramids at Giza, could be chosen for a second time, taking them well into a third millenium of fame! Built to guide ships through the labyrinth of sandbars that created havoc for merchants attempting to reach the port of Alexandria in Egypt, the Lighthouse or Pharos of Alexandria was the only ancient wonder to have served a practical purpose. Built between 299 and 79 B.C., the lighthouse stood some 166 meters, or around 500 feet, above the city's western harbor and was financed by the Greek merchant Sostratus who wanted to help ensure the safety of shipping traffic. Polished bronze mirrors were specially devised to reflect sunlight out to sea during daytime, and fires were lit at night to serve as a beacon for lost ships at night. The tower stood relatively intact until a series of earthquakes and gradual deterioration from natural elements caused the structure to collapse and eventually be dismantled for its stones. The greatest temple of the ancient world, the Temple of Artemis once stood as the most magnificent accomplishment of Greek civilization and Hellenistic culture, built as a tribute to Artemis - the Greek goddess of the hunt, mistress of Nature, protector of wild beasts and the sister of Apollo. The Temple of Artemis was located in Ephesus (in modern-day Turkey), which was to become the richest seaport in Asia Minor. It once consisted of 127 marble columns each standing 20 meters (60 feet) tall. 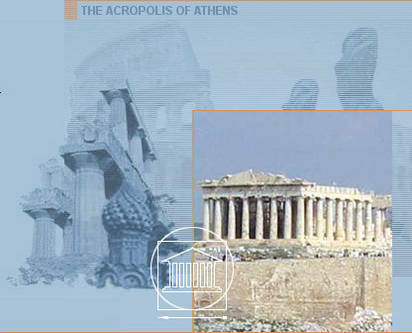 First built in the 6th century B.C., the temple was destroyed by fire 200 years later and then rebuilt under the supervision of Alexander the Great. The great temple was eventually destroyed successively by invading Gothic hordes, earthquakes, and plunderers. Today, only a solitary column remains of this once-glorious structure. This gold and bejeweled statue was commissioned in 438 B.C. 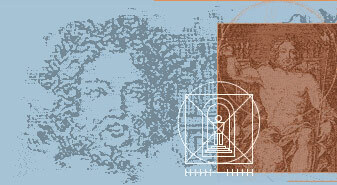 by the Council of Olympia in reverence for Zeus, the ruler and most powerful of the Olympian gods. The great statue was the work of the Athenian sculptor Phidias and was constructed inside the Parthenon, the great temple overlooking the city. According to Philo of Byzantium, this was the most inspiring of all the seven wonders of the ancient world: 'Whereas we greatly admire the other six wonders, we kneel in front of this one in reverence...'. 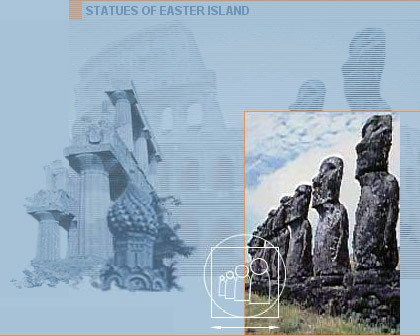 The statue of Zeus was later destroyed along with its temple after an earthquake in 170 B.C. A gigantic bronze statue that once stood 32 meters (110 feet) high on a marble plinth, the Colossus of Rhodes was built by its citizens to revere the Sun God Helios who supposedly helped Rhodes to ward off Demetrius of Macedonia. Constructed by the engineer Chares of Lindos, the Colossus of Rhodes was completed after ten years of meticulous work so that the legs would sustain the enormous weight of the giant statue. Unfortunately, in 227 B.C., an earthquake caused the Colossus to crack at the knee and set it in motion so that it collapsed into pieces. Even so, the statue was so admired that it was left lying in huge fragments for over 900 years until its valuable parts were brought to Syria. A magnificent garden paradise said to have been built in 7th century B.C. in the middle of the arid Mesopotamian desert, the Hanging Gardens of Babylon were testimony to one man's ability to, against all the laws of nature, create a botanical oasis of beauty amid a bleak desert landscape. King Nebuchadnezzar created the gardens as a sign of esteem for his wife Semiramis, who, legend has it, longed for the forests and roses of her homeland. The gardens were terraced and surrounded by the city walls with a moat to repel invading armies. There remains doubt, however, amongst historians and archaeologists as to whether this lost paradise ever existed, given that excavations at Babylon have left no definitive trace of this mythical oasis. Built between 370 and 351 B.C., this monumental tomb was dedicated to King Mausolus of Caria by his grieving wife, Queen Artemisia, as a memorial to their great love. According to Plinius the Mausoleum once stood 50 meters (40 feet) high and was surrounded by 36 columns, standing atop a marble pedestal at the intersection of the two main streets of Halicarnassus. The Mausoleum stood relatively intact until 1522 A.D., when it was ordered destroyed as an example of Pagan art. The only surviving wonder of the ancient world, the Pyramids of Egypt (Giza), were the phenomenal achievement of Egyptian construction and engineering. Built between 2600 and 2500 B.C., the three pyramids at Giza encompass more than 5 million limestone blocks which were painstakingly transported via timber sleds and by being rolled over the top of logs. As cranes were as yet unheard of, each block had to be dragged via ramps up to its designated place. According to Herodot, the largest of the three pyramids, known as the Great Pyramid, (about 146 meters high) took 20 years to complete and served as the tomb for the Egyptian Pharoah Khufu. 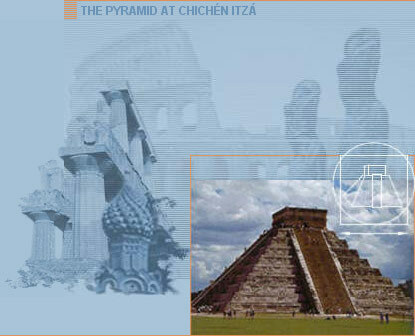 The pyramids represented the link between heaven and earth and were a signal to Horus, God of the World. 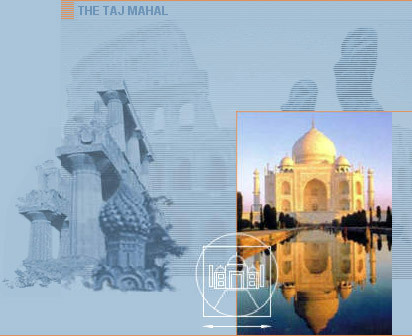 The New 7 Wonders of the World cover the whole span of human history, from the earliest time that Man began to make his mark upon the Earth, to the year 2000 A.D.
All monuments and buildings must be human-built and in an acceptable state of preservation. 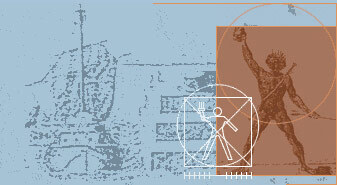 “Human built” signifies that the hand of Man must have been involved in the fashioning of the monument or building. 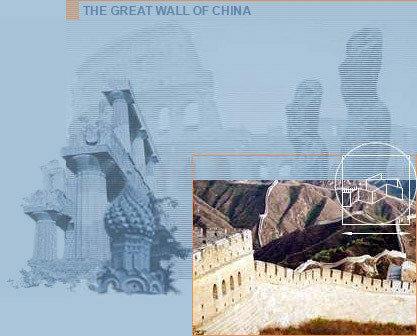 All candidates for New 7 Wonders must be in a sufficient state of preservation that the originators’ vision can still be perceived without artificial aids – ruins, however well tended or reconstructed with visual aids, cannot be nominated. 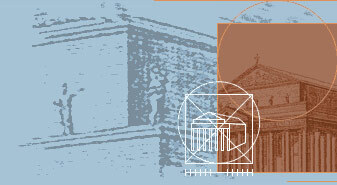 Monuments and buildings from all countries and continents in the whole world were eligible and invited to be nominated. However, only 21 Candidates from 21 countries were selected as Finalists (see Authority entry below) to be brought to vote. (Only 1 Finalist Candidate is allowed per country). 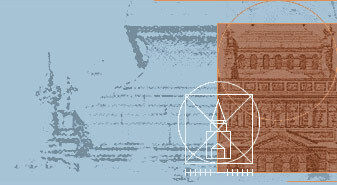 Monuments and buildings must have artistic or architectural value. Purely technological wonders, whose sole purpose is the application or use of technology, and untouched natural wonders which have had no human intervention, will be included in future projects of New 7 Wonders. 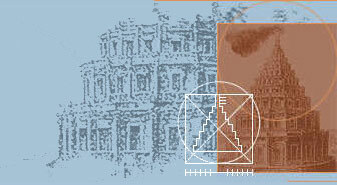 We expect that many of the nominated monuments and buildings will be universally recognizable. 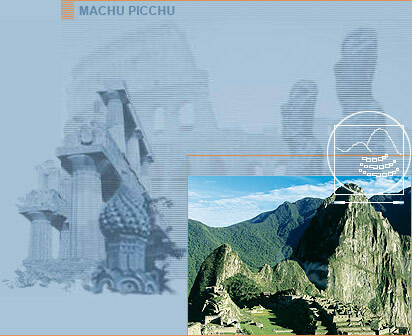 Monuments and buildings should reflect and celebrate the cultural and social diversity of the peoples of the world. The New7Wonders organization is happy to announce the following 7 candidates have been elected to represent global heritage throughout history. The listing is in random order, as announced at the Declaration Ceremony on 07.07.07. All the New 7 Wonders are equal and are presented as a group without any ranking. 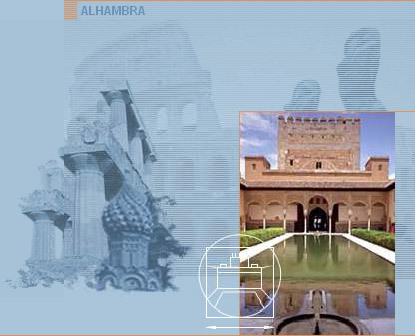 Mohammed I, the first king of the Nasriden – a Moorish dynasty in Granada - converted a 9th-century castle into his private royal residence, and it is this which we now know as the Alhambra. The structure, which covers an area of 13 hectares, is renowned for its stunning frescoes and interior detail. The building is one of the finest examples of Moorish architecture in the world and is among Europe’s most-visited tourist attractions. The Hagia Sophia was erected during the reign of Emperor Justinian (532 - 537 A.D.), when the Byzantine Empire was at the height of its power and influence. The massive dome, which is the prominent architectural feature, has since often been used as a model for the design of Islamic mosques. 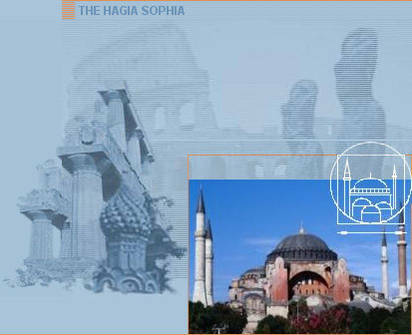 Indeed, after the fall of Byzantium, the Hagia Sophia was converted into an Ottoman mosque. Today, the monument is a museum serving both Christians and Muslims. Laid out in 794 A.D., the palaces and temples of Kyoto were the residences of Japan's emperors and shoguns for more than 1,000 years. The Japanese Emperor is enthroned at the Imperial Palace of Gosho. 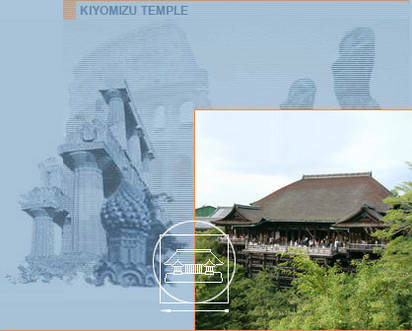 Among other significant works are the Higashi Nonganji and Nishi Hoganji temple complexes, the Kinkakuji Temple with its 'Golden Pavilion' and the Kiyomizu Temple, the temple of “clear waters.” The Kyoto sites have been destroyed and rebuilt many times throughout history and are today among Asia's greatest cultural heritage sites. Built as a residence for Ivan I, the Kremlin was the official residence of the Czars until the 1917 Russian Revolution. Today, it still houses the President’s office. 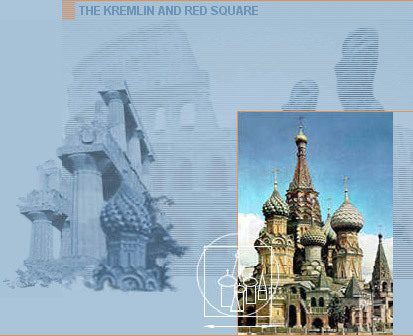 In front of the Kremlin is Red Square – an impressive and exuberant plaza which, for many people, is associated with the infamous May Day demonstrations. Rising from the square is St Basil's Cathedral, built in the 1550s to commemorate Ivan the Terrible's capture of the Mongol stronghold of Kazan. After careful consideration, the New7Wonders Foundation designates the Pyramids of Giza—the only remaining of the 7 Ancient Wonders of the World—as an Honorary New7Wonders Candidate. 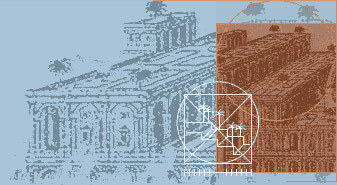 Therefore, you cannot vote for the Pyramids of Giza as part of the New7Wonders campaign. This decision has also taken into account the views of the Supreme Council of Antiquities of Egypt and the Egyptian Ministry of Culture. The Pyramids are a shared world culture and heritage site and deserve their special status as the only Honorary Candidate of the New7Wonders of the World campaign. The 7 New Wonders of the World will now be chosen by the people across the globe from the 20 active New7Wonders candidates. 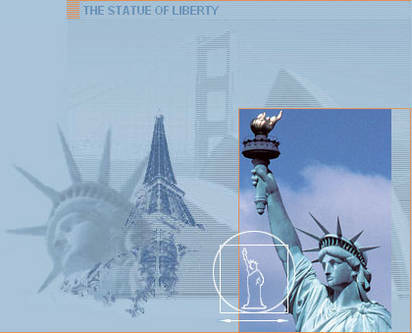 The Statue of Liberty was a gift of the French government to the United States to honor the ideals of freedom and independence. It was a very early gesture of national generosity. This huge statue became a symbol of hope and freedom for many hundreds of millions of people who immigrated to the United States during the 20th century to find a new life of peace and prosperity. It is also the one New7Wonders candidate that most closely resembles one of the Ancient 7 Wonders - The Colossus of Rhodes. 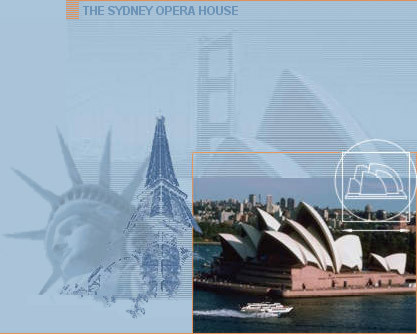 When the Sydney Opera House was finished in 1973, this landmark building - in the true sense of the expression, - put the whole continent of Australia on the world map. This building does not imitate or reflect what we generally imagine an opera house might look like, indeed, it is a completely abstract interpretation. 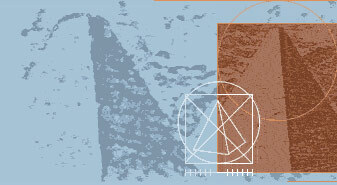 The ability to create abstract art only developed after the invention of photography in the late 19th century, when painters first began to experiment with an abstract, cubist interpretation of reality. The results of the world’s first-ever global vote were announced on July 7, 2007 (07.07.07), the seventh day of the seventh month of the seventh year of our third millennium, in Lisbon, Portugal and are now in the process of being validated and confirmed. The canon of New 7 Wonders of the World was announced during a spectacular gala show in the “Estadio da Luz,” the stadium of light, in the presence of 50,000 spectators and millions of television viewers throughout the world. 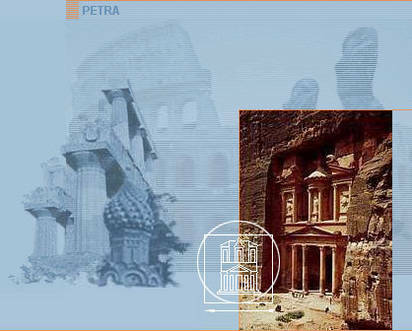 A little more then 2,200 years after the Ancient 7 Wonders (which represented buildings built over a period of 2,000 years) were declared in 200 B.C. by a single man, Philon of Byzantium in Athens, more than 100 million votes from people from every corner and country in the world, elected the New 7 Wonders of the World. 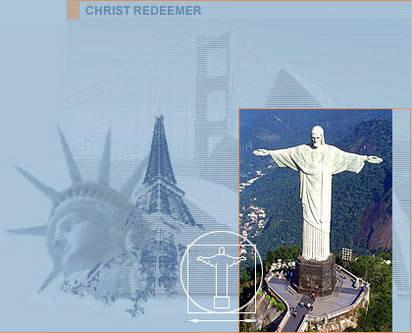 This truly new set of 7 Wonders covers, once again, the time span of 2,000 years—from the Arab city of Petra and the Roman Colosseum, both of which date from the 1st Century A.D., to the wide-armed statue of Christ Redeemer on Rio de Janeiro’s Corcovado mountain, built in 1931. Allow me to start by taking something right off the top of your mind: No, not the Chinese, nor the Indian people have played the most weighty role in choosing the New7Wonders! They did not represent the largest group of voters. The children and young people of our world did. For the first time, children could participate in an election. They were the most numerous group of voters, since the Chinese have children, the Indians do as well, the Americans, the Europeans and the Africans—we all have children. Children up to a certain age do not have a strong national sense of pride, so they were our most objective voters, they voted for what they genuinely liked best. In addition, it was not the case—as many had feared and wrongly predicted—that only the rich, developed countries would dominate the list-making. Indeed, it was the rich, saturated and (as we saw time and again) more lethargic developed world that joined the proud, much more enthusiastic developing world to choose the New 7 Wonders of the World. Interestingly, at the beginning of the New7Wonders campaign, in the year 2000, the first wave of votes came from Turkey. It seemed to me that people in developing societies use the Internet differently from us in the western, northern world of plenty. For them, it is the gateway to connect with the rest of the world. In our so-called privileged, developed world, the Internet is often used to surf, chat and/or consume content. Reflecting the diversity of our world, there are three of the New 7 Wonders in South America, two in Asia, one in the Middle-East and one in Europe. They represent some of the most important civilizations of the past two millennia—Arab, Chinese, Inca, Indian, Mayan and Roman. With the 7 (no more and no fewer) votes that people had to cast via our website, plus the opportunity to cast votes via text messaging or telephone, our voting system proved to be well balanced. Internet voting was the equalizing factor, while SMS and phone votes expressed the passion and strong feelings that people had for their favourite monument. As a result, some candidates received many Internet votes from all over the world without even engaging seriously in campaigning. 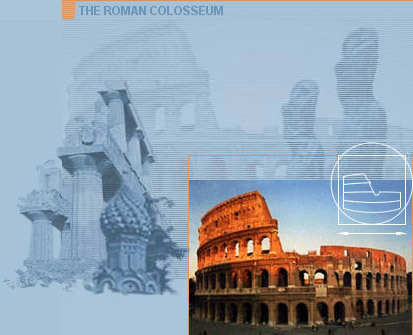 This was the case with the Colosseum in Rome, the only wonder standing in old Europe, representing Roman civilization. Disappointingly, the Alhambra in Spain did not enjoy public support when it came down to voting, despite a rigorous campaign supported by the King and the Prime Minister of Spain and great local activities, such as the creation of a human chain of 3,000 people embracing the ancient fortress. The biggest surprise, however, came from Africa in the final phase of the election—a tremendous sprint in the last weeks before voting closed. Huge number of votes poured in supporting the African candidate in Mali: Timbuktu. Mali itself sent more votes in one week than had all of Germany by then! It propelled Timbuktu from the bottom of the list to literally scratching the top 7! 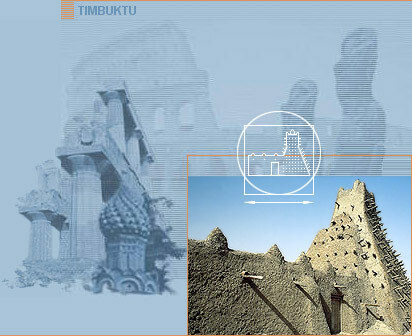 Had the organizers started campaigning just a month earlier, Timbuktu would have had a serious chance to be elected as one of the New 7 Wonders of the World. 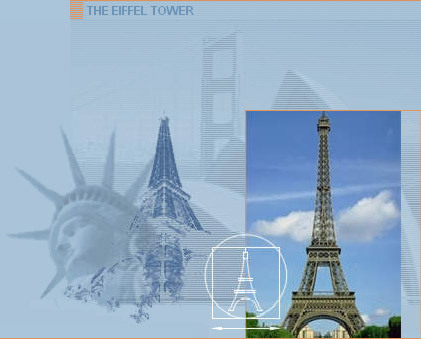 More people from Korea and Japan voted for the Eiffel Tower than did people from France. 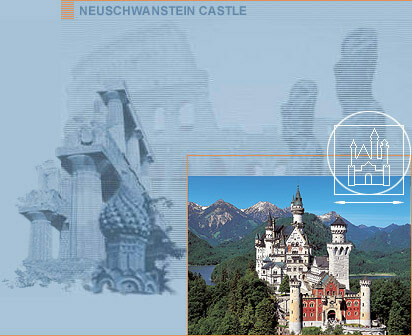 Many children worldwide loved Neuschwanstein Castle, but the Germans didn’t. The United States, whose inhabitants voted passionately and in huge numbers, did not vote for their Statue of Liberty. Hundreds of thousands people send us comments and words of encouragement and often thus explained their choices. Some of these moving comments are listed after this report. On a personal note, I am especially pleased to see that my two countries, Switzerland, where I was born, and Canada, whose citizenship I adopted as my second nationality, were amongst the most active participants without having their own candidates in the running together with some exotic countries like Yemen, Albania and Afghanistan. This new list of 7 Wonders reflects quite accurately what economists predict as the upcoming economic and industrial regions in the world in the not-too-distant future: India, China and South America. 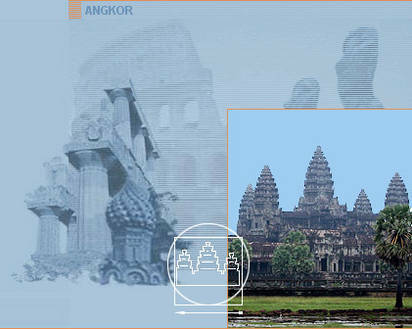 I have asked myself: Could there be a connection between, on the one hand, the motivation and the pride, enthusiasm and the compassion that people have for their culture and monuments that symbolically represent them, and, on the other, their motivation to make a brighter future for themselves? My response is: Yes, this is definitely the case and ultimately also the reason that cultural identity is so important to every single human being and to all societies on our planet! My personal experience travelling, spending time and sharing life in different parts of the world taught me that people who are deeply rooted in their culture are more secure and, as such, fear the stranger, the unknown much less. Their own strong identity allows them to open up and appreciate differences, valuing the enriching experience with a stranger. It is the respect and appreciation of that which is different that forges the strongest friendship. The New7Wonders Foundation will honour all the 21 New7Wonders Finalist Candidates, together with the New 7 Wonders of the World, forever. They all deserve the acknowledgement of being outstanding finalists, since they are all icons in their own way, representing the best that people and civilizations have left behind for future generations to respect, honour and enjoy! Our Heritage is our Future!